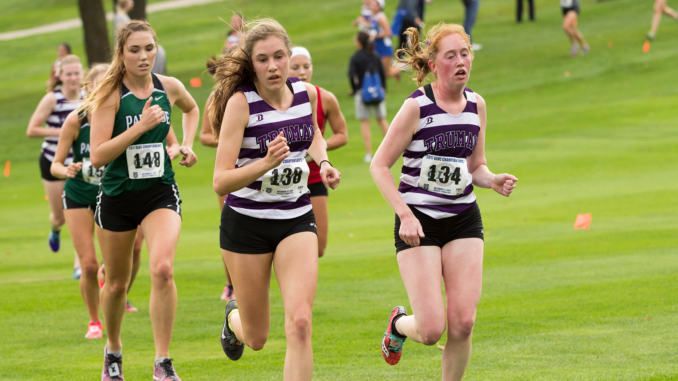 Freshman Gemma Saathoff runs in the GLVC Cross Country Championship race hosted at Kirksville Country Club. Saathoff is one of many women eager to start the outdoor track and field season. 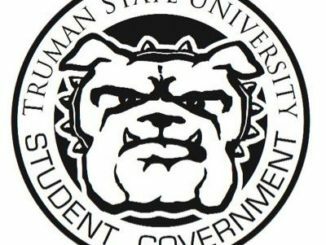 The phrase “the best is yet to come” might just be the perfect way to sum up the upcoming spring season for Truman State University’s track and field team. Despite the cancellation of the team’s first outdoor meet of the season on March 24, head coach Tim Schwegler said the team is eager to get started on potentially some of its best performances so far this year. Schwegler said although the meet was canceled last weekend, the team has found a replacement meet on Thursday and Friday to hopefully get some season benchmarks in. Schwegler said the team usually performs better in the outdoor season than indoor because of how the athletes approach it. He said there are some key competitors to keep an eye on this spring. On the men’s side, Schwegler said Pavey is expected to perform well in the men’s 800-meter run and 1500. For the sprinters, he said junior Eddie Barrett will be a factor in the 200 and 400 along with junior Elijah Farrales in the 400, who is healthy again after being injured this winter. Schwegler said senior thrower Sam Stewart had a good indoor season and is expected to carry his momentum to outdoor, and freshman thrower Bobby Campbell could be influential in the discus and javelin. For the women, Schwegler said freshmen Kelly Doerr, Emma Harrelson and Gemma Saathoff should all have good seasons in the distance events, along with junior Marissa Gress in the women’s 400-meter hurdles. He said junior thrower Cassidy Smestad should also have a good outdoor showing, coming off of an impressive indoor season. In addition to the aforementioned athletes, Schwegler said the women’s pole vaulters have an opportunity to collect several points for the women’s team in the conference standings. All three of the women’s pole vaulters, including sophomore Hannah Sells and freshmen Cassie Jennings and Katie Reeves, set personal records and improved during the indoor season. The men and women will open outdoor season tomorrow at the Washington University Distance Carnival. For more information about Truman’s upcoming outdoor track and field season, pick up a copy of The Index on March 29.